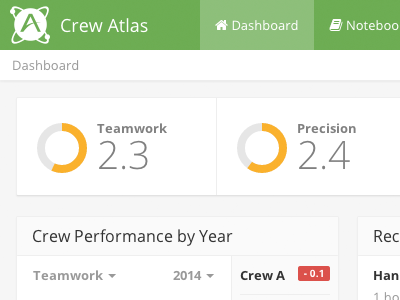 ATS has revolutionized the nuclear power plant industry with new software to help plants monitor, measure, manage, and improve crew performance. The U.S. Patent & Trademark Office is redesigning the core business systems that support patent examination. The USPTO goals include reducing time to first action from ~2 years to 10 months and total pendency from 3-5 years to 20 months. 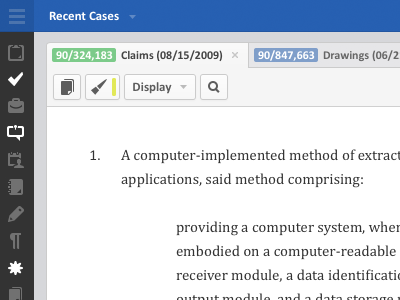 With over 8,000 patent examiners using a complex business process, ATS approached the problem by designing and developing a state of the art user interface, built on open source technologies, that allows examiners to personalize the application to the way they do their work. Additionally, ATS has architected a gadget-based platform that enables information to be shared between components to reduce redundancies and allow for the application to act intelligently based on the user’s previous actions. Applied Technical Systems, Inc. (ATS) develops elegant software solutions by translating complex processes, concepts, and ideas into simple, easy-to-use, and understandable applications.. Founded in 1980, ATS has helped government agencies and commercial clients arrive at better decisions through intelligent discovery solutions, total life cycle expertise for the U.S. Navy, and a broad range of systems engineering services. ATS’ clients include the U.S. Intelligence Community, Department of Commerce, Department of Homeland Security, and the Department of Defense. Headquartered in Silverdale, WA, ATS also has offices in Boston, Alexandria and Suffolk, VA.
© 2015 Applied Technical Systems, Inc. All Rights Reserved.